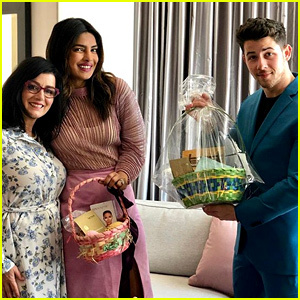 Some great stars will get together for an important cause this month. 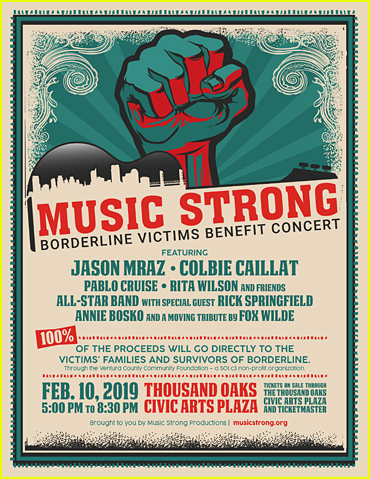 The Music Strong Borderline Victims Benefit Concert will take place on Sunday, February 10 at the Civic Arts Plaza in Thousand Oaks, Calif. Among the performers are Jason Mraz, Colbie Caillat, and Rita Wilson. 100% of the proceeds will go directly to the victims’ families and survivors of the Borderline shooting. Get tickets now on Ticketmaster. 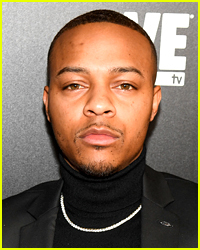 Bow Wow was arrested in the early morning hours of Saturday (February 2) after he allegedly got into a fight with a woman. 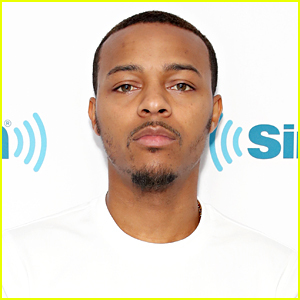 The 31-year-old rapper and the other woman, Leslie Holden, were both arrested after cops arrived on the scene at 4:15am in Atlanta, Ga.
Leslie claimed she was assaulted by Bow Wow and he claimed she assaulted him. 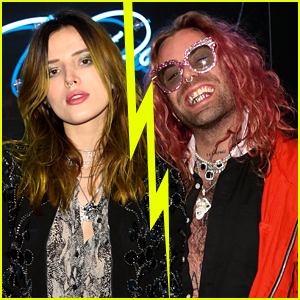 They both “sustained visible, minor injuries,” according to TMZ. 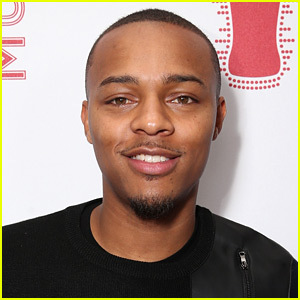 Police arrested both Bow Wow and Leslie after they couldn’t figure out who was the “true aggressor.” They were charged with misdemeanor battery. 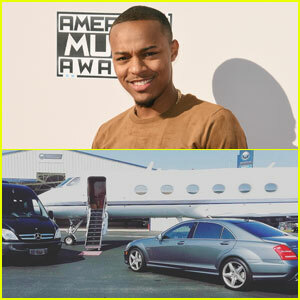 Bow Wow Gets In on Private Jet Joke, Drags Himself on Instagram! 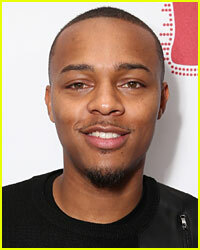 Bow Wow was dragged on the Internet this week after it was discovered that he fibbed about taking a private jet. Fans began the #BowWowChallenge and posed so many memes about the fib…and now Bow Wow is getting in on the joke by posting his own meme! Bow Wow took to Instagram to post a video poking fun at the lie, and captioned the video with lots of the crying laughing emoji face. 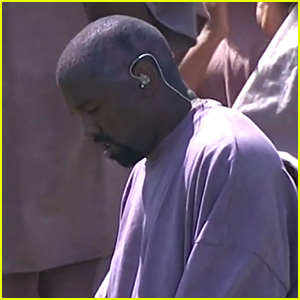 He also addressed the controversy on Hot 97 on Thursday (May 11). Bow Wow has inadvertently started a viral trend called the #BowWowChallenge. It all started when the 30-year-old rapper posted an Instagram shot of a private jet saying he was flying to New York City. Someone noticed that the photo was actually an image from a transportation company website. Not to mention, someone on his actual commercial flight spotted him and then tweeted about it! So people on Twitter starting posting hilarious optical illusions and fake-outs with #BowWowChallenge attached to it. You can see some funny ones below! Fox News anchor Kimberly Guilfoyle has made the comments that the Secret Service should kill Snoop Dogg and Bow Wow in light of recent events. The 48-year-old host shared her thoughts during Fox News’ The Five segment on Thursday (March 16) after discussing Snoop‘s recent music video in which he pulls a fake gun on a parody clown version of President Donald Trump. During the segment, Greg Gutfeld stated that “it was an actual threat,” asking Kimberly what she thinks the Secret Service should do about it. 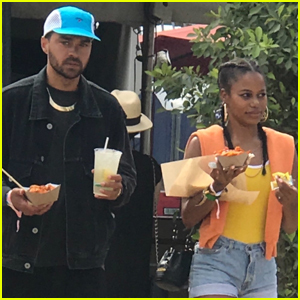 “I think it would be fantastic if Snoop and wannabe-Snoop got a visit from, like, the federal marshals and let’s see how tough and gangster they are then,” she added. See what else she had to say below. And ICYMI, see how Trump and Bow Wow have responded to the music video.